It’s a long time coming. But it’s finally here. 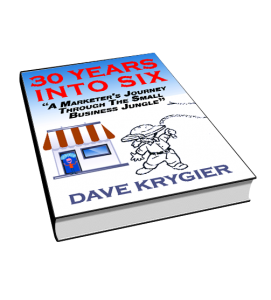 Book number two 30 Years Into Six – “ A Marketers Journey Through The Small Business Jungle. Now available on Amazon, the 30yearsIntoSix.com website or Create Space. What started this journey and changed the course of my life was a crushed hand with a broken finger on December 30, 2009. This is where God intervened and got my attention. When I started this new journey I was searching and looking to reconnect in the online world. My experience one the years had all been in small business with occasionally dealing with large corporations. The corporate world never suited me, yet I spent 10 years as a contractor to an international company. I created and started writing here on the Click and Mortar blog in February and slowly but surely the words started to flow onto the screen. In June of 2010 I came across Sean Mize, an Internet marketer who had specialized in articles for traffic, info products and coaching. Info products and coaching were intriguing since they enabled me to work virtually and on whenever I wanted to. Over the course of the next couple of years I learned so much from him including how to write articles, sales letters and all the components to building info products and coaching classes. Later in 2010 I ran across Ken McCarthy of the System Seminar and attended his last big System meeting in early April 2011. This was an eye opener and game changer. Over the years I have absorbed it all, took it all in, studied constantly, and began to test, research, and document on my blog and published articles. BTW – I still study, research and test to this day. Combined with my experiences in the early years of the late 1980’s and 1990’s along with later years in the early to mid 2000’s, the content for the 30 Years Into Six book was flowing, even though I hadn’t decided to publish a written book yet. 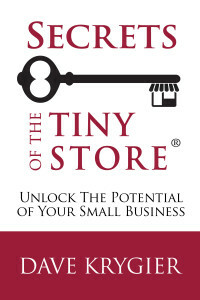 My first book “Secrets of The Tiny Store,” written about 12 years of experience during the pre-Internet and early Internet years was published in 2014 as a digital e-book. 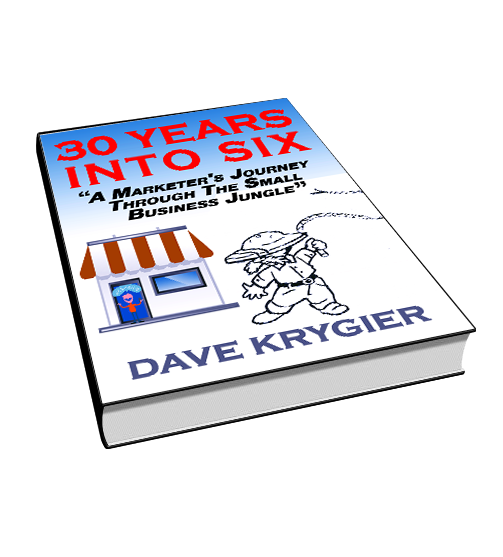 The 30years Into Six book was actually published in early 2016 as a digital ebook and then just recently we published the printed version available through Amazon and not the 30YearsIntoSix.com website. I hope you enjoy the book and as always you can reach out to me here or on my production company website at DMK Productions. Last week’s Best of The West Awards Gala at Northern Quest in Airway Heights was a quite the outing. The room was pretty full, the crowd was responsive, and the overall atmosphere was upbeat. It’s not very often that an awards ceremony comes along that I’m so involved in. From our small business viewpoint, it was a great success. SBM (SmallBizMechanix) took home the “Small Business of The Year” Award and we also had the opportunity to capture video of the event and operate the switcher and cameras. From creating and producing the Member Moments, to working on the Biz to Biz Expo, we were busy the latter part of last year. Plus I ended up with a seat on the West Plains Chamber board on January 1st. What a whirlwind – but worth every minute. Stay tuned and I’ll be back with another update about the behind the scenes work. A long, long time ago in a land that has now become overgrown with concrete highways and millions of people, there was a tiny store. And this tiny store was built upon a dream to have thine own business. Thus this little store grew in sales, moved locations, tried to get bigger, but shrunk back to a much smaller retail and office foot print. 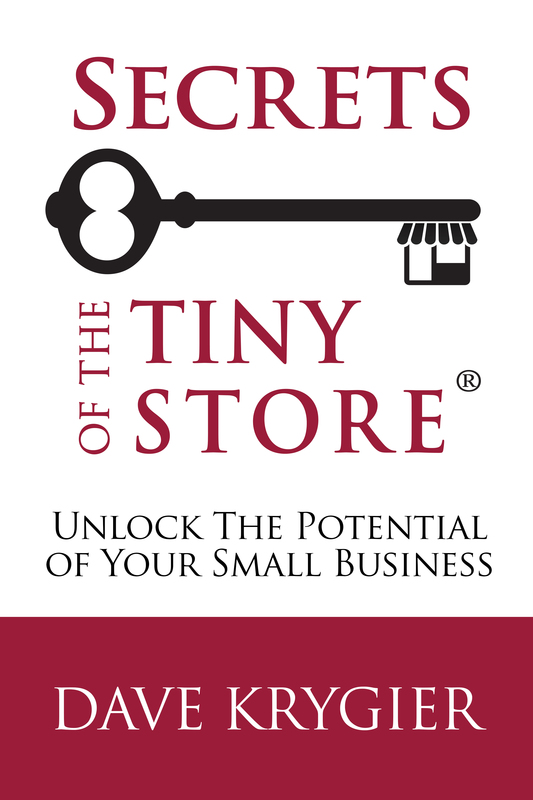 The tiny store was in existence for 18 years until it was sold. The ways and methods never shared in writing until recently. Now you have the chance and opportunity to learn how the tiny store crushed it on the early days of the web. Plus you’ll discover how the store retained customers, grew referrals, tested it’s advertising and much, much more. For the small business retailer or service-based business you will find some insights, tips and strategies that could help take your business to the next level. Or if you are happy and content with the business that you have right now, you can find out how to streamline, and cut down on your advertising budget. Oh – by the way – if you are just getting started in small business and want to avoid the pitfalls that most business run up against in their five years, this book has some interesting information that could save you $$$$$, lost revenues and frustrations. Plus, there’s even something for the small business manager. So if this is you, and you’ve been tasked with running a business for someone else, like your spouse or partner, then get ready to dig in. You’ll find a few info nuggets and gems in the book, let alone what’s in the member’s area online. Wait no longer my faithful reader, get your hands and eyes on a copy of Secrets of The Tiny Store and let your new journey begin. Business development has its ups and downs. Sometimes it’s up and sometimes it’s down. Recently, with the start of a new year we found ourselves in a business development cycle that was topsy-turvy, and very turbulent. Sitting at the crossroads with several new possible new accounts and an existing account – it was apparent that I needed to switch strategies and several company policies. When clients give you signs that they are emotionally unstable, or hot and cold – you need to make a decision if you are going to keep them in your wheel house, or let them go out to pasture. In our case – we decided the later and it was a great decision, even though it hurt financially since the client owed us money, and we had a large list of work in development that was to be done in the coming months. It’s better to find new clients that you can work with and enjoy the experience. Versus stressing out over a client who has a Jeckyl and Hyde personality. With business development you sometimes take risks. Recently I took a trip out of state – but all the initial signs lead to what I refer to as listening to my gut. And my gut was right. It was a trip that didn’t need to happen. Quite simply – a prospect who gave all the up front signs of being a difficult account. From simple signs like unaccountability, and lack of communication, to showing a card about the competition, it just wasn’t meant to be. I was relieved and elated to move forward in the search for clients that would be a good to great fit for us. Now on the other side of the fence back home we had a prospect that was also sending signals and signs of being difficult. After all the hours spent in preparation, research, proposal and budget estimates, this potential client decided to try and squeeze us on price, plus started to do a song and dance with the overall item. Even though this potential account would bring in significant gross revenue, it just didn’t pan out and would not have been profitable over the period of the contract. Had we taken on the account my hourly rate would have been brought down to less than half of what I charge for my time. Plus the additional account management hours and undue stress that I didn’t need. After all, I had just been in to the ER for chest pain and didn’t want to go back any time soon. This client came along at a time when we could have really used the revenue since we lost two very large accounts the previous year. These two accounts equated to six figures in revenue. But it didn’t make any difference because I knew that it was going to be one of those high maintenance accounts with people who are demanding, yet have internal issues that they won’t fix, but say that they are fixing. Sometimes you have to say no and that means when you say no you mean it. Just know that working with clients is never going to be easy. Clients are people, and people are not perfect. People have good days and bad days. So will you. 1. 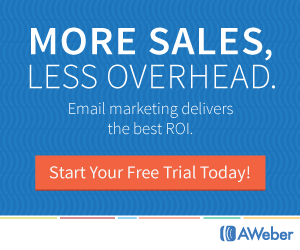 Have a sales funnel that is diverse and full of quality prospects. 2. When your gut says turn the other direction and run – go with your gut. 3. When your gut is aching from stress, and all the potential client signals are showing bright red – take a right turn on the next side street and find a different way home. As the new year approaches people look to make the resolutions of all kinds. For some it is physical and this will be the year that he or she finally makes the necessary changes that really make a positive difference. Making the decision to change your life and your business can be done anytime of the year, but most people make these kind of decisions right around the New Year. I for one have so many resolutions, but one that I’ve already set into place is to be more consistent with adding updates, posts and articles to all my sites. You’ll get no excuses here from me. 2015 was a crazy busy year and I let the writing and updating stay locked up in the office and my mind. Now I need to catch up over the next 6 months. It’s one of those areas that I quite frankly decided to put a very high priority on. But since I’ve only had one other person write for me, and that was in 2010 for a couple of articles, it all falls on my shoulders to get it done. One of the reasons for this is that all of the content that I post here on clickandmortarblog.com is coming straight from my head to the keyboard. In the past I have created a master list for titles, but when I sit down to write, I write. Is this going to be a banner year for you and your small business or just another year of the get buys? What are you going to do different this coming year in order to make your goals and dreams a reality? Maybe you’ve read all kinds of books and been to seminars? Have you put the info into use? Maybe you’ve listened to audios and watched videos, yet you’re still frustrated and struggling? Do you need help from a mentor or friend to implement what you learned? I too, like many, reflect and look forward to the New Year. The changes I must make in all areas of my life. The changes that must take place if I am to get to the various destinations I’ve set my mind on. You see my friend – your small business is your baby and you must nurture it. Because if you don’t, you’ll not like the results and maybe you’ve already experienced this. Whether you realize it or not, your company needs you to grow and to lead. This means change and sometimes pain. As a small business owner or partner, change can be your friend. So are you going to continue doing things the way you have done them? Or are you going to change or remain stagnant this coming year? I am encouraging you to make the change and go through the struggle, but don’t do it alone. Find a coach, mentor or mastermind group that will guide you through. It will be worth it. When my wife and I first moved to Wenatchee in March of 1999 it was almost like a dream come true. Here we were living in the Apple Capital of the world and one of the sunniest parts of Washington State with over 300 days of sunshine each year. We loved the weather and smaller town atmosphere. We really enjoyed it and it was an exciting time. Plus we arrived in the still early days of the web and the local newspaper was just getting its feet wet in the online world. I recall being the first residential test guinea pig in Wenatchee watching the three GTE techs hooking up the 115K ISDN connection to our home office. They had never done this for a residential customer and it was quite a sight as they took the better part of a day to get the work completed. Those were the days of expensive banner ads and what I refer to as the wild west. I vividly remember discussing a potential banner buy with an account executive at Double Click. This was at the peak of the bubble, right before it burst and prices were sky high and just plain ridiculous. I operated and worked from a home office, taking calls and emails from around the globe. The fax machine was still in use at that time and it wasn’t uncommon to come home to a pile of paper having to do with orders, questions and operations. This was during the Internet boom and our business was booming and cruising along. We found needs in the market and we filled them. Simple but true. So all this leads to one question: As a small business owner in Wenatchee and Central Washington, how do you increase sales with local Internet marketing and market your business on the web and actually make it work? Side A: If your business is located anywhere in Central Washington like Wenatchee, Leavenworth, Chelan, Cashmere, Plain or anywhere in between, and you have a product or service that isn’t restricted to being local, then you must seriously consider testing a ‘regional’ local Internet marketing strategy when it comes to your marketing on the web. Side B: If your business is really focused on the local or regional community in Central Washington, then a local web strategy will probably fit you better. Why – because you need local business, not business from outside the region. Local means people that are only going to shop and spend their money with a business that resides in their local area like Wenatchee or Cashmere. With all that said, I can relate to both sides of this coin due to years of experience, testing, failing, succeeding and doing both sides from Wenatchee. The bottom line is that if you want to increase sales with local Internet marketing and stay up with the ever expanding web, then you’ll need an Internet marketing strategy that is designed for your business. Not a cookie cutter approach. It may be a local internet marketing strategy and it may be a boader strategy. Either way, you need to target your market and focus versus throwing the wide net. This could be the year that you increase sales in your small business with better customer service but you need to know what not to do so in today’s post I decided to share some of my customer service experiences that may give you some insight. This is part one in a series about how to increase sales in your small business. During the past year I seemed to have run into a rash of customer service issues with products and services that I purchased. Call it what you may, when it rains it can sometimes pour, and it poured quite often in my neck of the woods in the areas of customer service and brand loyalty. There’s an old adage – “You Get What You Pay for.” And personally I have found this to be so true when it comes to most commodity based items big or small. Here are some real live examples, (with the names of the companies removed), that show what not to do and how companies are really blowing opportunities when it comes to customer service and increasing sales. Top Car Manufacturer – It’s not every day that one buys a new or used car and this last year we went through the process of buying a new vehicle from a local dealer versus over the Internet. The bottom line is that even though this automobile brand has built a great brand based on quality vehicles, the car buying process is still the same and it sure doesn’t look like it’s changing anytime soon. It’s the same old bologna and issues with integrity. Too many different stories. In the end, the vehicle we purchased from the local dealer is ok, but I must say the attention to certain details was lost along the way, the door edge guards are still not installed properly and my back will never be happy while in this vehicle. Will we go back to this brand? Maybe – but it will be online and working every angle to save money. Could better customer service have increased sales in this local business? For sure. I would have upgraded the vehicle and sang their praises. Now let’s take a look at a small consumer item. Sunglasses Company – A search for Some Protection from the Sun. I never knew that buying a pair of prescription name brand sunglasses was going to be such a chore! After searching high and low for a licensed retailer I decided to call the sunglasses company directly and left a message for their director of sales and marketing, who never bothered to return my call. So I called again and left a message for the person who oversaw the state I reside in, and finally received a return telephone call but with no results. I was doing everything I could to buy from this company but they just didn’t care. To them I was only one customer looking for a pair of quality prescription sunglasses. At the end of the day I ended up using a pair of existing non-prescription frames I owned and then purchased non-brand polarized lenses with mirror coating. The local small business optical store lost the sale and a brand loyal customer. The manufacturer lost a long time loyal customer and any chance of my returning to their camp. The bottom line…If you want to increase sales in your small business just provide good customer service along with returning phone calls and responding to emails. After all, it’s not that difficult to satisfy the average consumer, especially if he or she is in the market for your product, service or information. In the second part of this series on how to increase sales in your small business I’ll share the other side of the coin and what I consider great customer service from a veteran retailer who went above and beyond. In my previous post about how to increase sales I mentioned three customer service experiences that literally broke my relationship with these businesses. Today I will dig into three of the best ways to retain customers in your small business so you can increase sales. Although there are many more ways to keep customers in your wheel house, these three ways to retain customers will help improve sales if you continually work on them. I purchased a piece of luggage from Jos A Bank in our local area under the guise that if anything ever happened to it they would replace it. Well as life happens, this particular piece of luggage started to have some serious exterior issues with only 20 flights of service. So I brought it back and came to find out that Mr. Bank was no longer in the luggage business and they were in the process of merging with another mens clothing conglomerate. He fixed part of the issue and also gave me a credit for $1000 that I could apply to anything in the store! Now that’s what I call customer service and taking care of the customer and going beyond. Considering the luggage cost less than $400, the repair plus the $1000 far exceeded the value that we paid. Even though this company is not a small business their local store is run like one and they’ll receive my vote for great customer service and retain me as a customer for life. A. Give Your Customers a Reason to Come Back to Your Business. Treat your customers like you treat your best friend and always have something to entice them to reenter your world. B. Cross Train Your Sales and Customer Service Staff. This way you are never without someone in either department. C. Find and Recruit People Who are Open and Willing to Learn Your Business. It seems that good, quality, trained retail sales and customer people are just becoming harder and harder to find these days. So when you find a really good quality individual, do what you can to support him or her and treat them like family. Bonus – if you communicate openly with your staff about your expectations and goals, this can also be one of the best ways to retain customers, especially If you are building your business around a brand. This means that you have to make sure the people who work for you understand what brand loyalty is all about or it could mean their jobs and loss of income. If not – let me know by forwarding me an email here at ClickandMortarblog.com and I’ll do my best to answer your question. In this article I’m going to share one of the best ways to market an alternative medicine practice or clinic. As a practicing alternative medicine professional you probably cry at the thought of spending money on traditional advertising, right? I mean spending your hard earned income on newspaper, magazine, TV and radio ads is about the last thing you want to do unless you like to see your name in lights! This may be one of the simplest things for an alternative medicine practitioner like yourself or it may seem like you’re getting a tooth pulled without any numbing medicine. Content marketing is one of the best ways that nutritional and alternative companies have attracted and connected with their target market. They have been doing this for decades. You already receive their physical and digital newsletters, mail and email that contains some of this valuable content. It comes from your suppliers, competitors and researchers. Due to all of this content available out on market today to alternative practitioners like yourself and the general public, you need to separate yourself from the crowd. People who are looking for your kind of practice or clinic. People who want help and desire to get better and live more fulfilled lives without the need for toxic chemicals, drugs and foods that poison and weaken their bodies. People who are searching for a new practitioner for their family or close relative. The bottom line: You can guess or you can test when it comes to marketing. Afterall, it’s your decision as to what you do with your practice/clinic and your money. But I say, why waste money when you don’t have to? There are people who want what you have, yet have not connected with you at your practice or clinic. You can spend money and not know what works when it comes to marketing or you can invest in one of the best ways to market an alternative medicine practice: quality content that connects you to people who actually want and desire your services. Publish quality written content with specific proof elements. 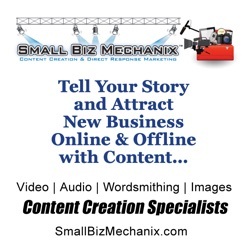 Create Original videos that attract and connect you with your target audience. Provide credible resources that your buyers can access. But the key to really making content work in your favor is to have a content blueprint and outline that works as a a roadmap and guideline. Plus you need to create the quality content or have it created and distributed for you. For more information about the best ways to market your alternative medicine practice, visit SBM and check out their content creation and marketing resources. Today I’m going to take a different path in the land of Click and Mortar Blog. That path is one where I’m going to share about a spiritual topic called God Moments. Maybe you believe in God and maybe you don’t. Either way, he is working all around us. And yes that includes your life, small business and all of the people you interact with each and every day. I once heard a speaker call these ‘God Moments,’ so I figured I would share some from my life and lead off with a brief comment about a movie that we had experienced. In this movie, God’s Not Dead, actor Kevin Sorbo portrays an atheist professor; whose past has led him to require all of his college students to literally disown whatever religion they believe in on their first day of attending his class. This leads to many students following his instructions, but one student refuses to go this route and sets out to prove that God is not dead. And when I look at the last four words of this last sentence, they lead me to the moments that God has literally reached out and put someone in my path. The connection with one of my mentors, Sean Mize, which eventually lead to Lester Wehyee. The connection with business associate Chip Heady eventually lead to Bob Bowen, who as of this writing is currently with Holt International in Eugene, Oregon. The connection with non-profit ministry evangelist Bob Bowen which has lead to so many different people including Melissa Williams and Tom Mehrer of Clean Compassion. 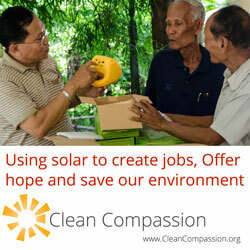 God moments lead me to Bob and then to Tom at Clean Compassion, who is now connected to Lester in Liberia. The connection with networking professional Barbara Olson at BNI, which eventually lead to other Godly people like Claudia Rumwell, The Senior Care Organizer. The connection with pastor Randy Simon. More to come on this connection. Maybe you believe in God and maybe you don’t. Either way, he is working all around us. And yes that includes your small business or enterprise. Whether you want to acknowledge this or look the other way. – What kind of God moments are you in for? What kind of God moments have you had but you never really acknowledged them as such? – Will you be ready for your next God moment or will you let it pass you by? Only time will tell and your life will record it. Be aware, be thankful and look for the God moments in your life. Because God moments can change your life in just seconds. Tomorrow we’ll return with our regularly scheduled posts having to do with the topic of driving traffic that converts into sales.